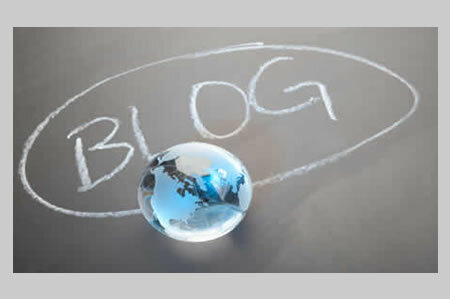 Business blogs are becoming particularly popular. Often, it seems, more for reasons of benefitting website SEO, search engine optimisation. However, engaging readers rather than impressing search engine robots is the criteria by which a successful blog is measured. To help you understand more about what it takes to build a successful blog, here’s 6 tips about how to blog. You really need to have a blog “within the site root”. This means that the actual files and folders that make up the blog, in the same way that files and folders make up a website, are situated in the same place on the hosting server. NB. Having a link in the website navigation bar that says ‘blog’ does not mean the blog is automatically located in the same place on the server as the website. Establishing the tone of your blog is important, if you aim to your audience engaged. Writing for a blog is not like writing for a website and there are different conventions to follow with regard to how you information is best communicated, whether using text, images, podcast or video. These days people tend to scan content, often before they read it, picking out bits of information relevant to what they’re searching for. Understanding how to shape the content of your blog is important if you want to keep your readers engaged. Understanding how to use H1, H2, H3 etc to benefit users and search engines is one of the foundation stones necessary for successful blogging. Posting on a blog, with no real strategy of why beyond just being seen to do so, will not assist your climb up the blogging success ladder. A strategy is far more than just deciding on number of times a week you’re going to blog and what subjects you’re going to blog about. A strategy has to start from the perspective of your audience. Have you identified much about who they are and what information they’re looking for? If you expect people to discover your blog just because you publish posts, you’re likely to be disappointed. You have to aid the promotion of your blog by methods such as providing rss, really simple syndication, facility and also buttons above or below your post for social sharing. Choosing a blog platform that has RSS and social sharing buttons built in and ready to roll-out for use is not just valuable, but essential if you’re wanting to engage in effective online marketing. If you’ve found this post useful, please consider subscribing to this blog by leaving your email in the box on the right hand side. That way you’ll receive all new blog posts, nothing else, straight to your inbox.